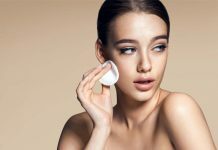 Foundation is an essential part of the beauty care routine. It removes the imperfection of the face and gives a flawless look. But, finding a right foundation is not so easy. And it turns harder when you need a right foundation with moisturizing effect. There are so many variations in foundation including light to heavy and matte to glow finish. Besides all these, you should consider your tone and skin types before buying a foundation. And you need to make sure that the foundation gives you a flawless look without any skin damage. Anyway, today I will show you some moisturizing liquid foundations for facial skin. All are lightweight and effective for all skin tones. And all ensure you a healthy skin with a perfect hydration. This is a nice whipped moisturizing cream for the face. It hydrates your skin for 14 hours. Its lightweight formula transforms from cream to liquid and makes it easy applicable onto your face. It gives your skin a baby like perfection. It means you get a flawless and natural coverage with a smooth finish. This foundation is oil free and fragrance free. 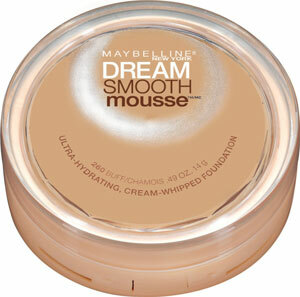 Maybelline New York Dream Smooth Mousse Foundation is allergy tested and safe for sensitive skin. 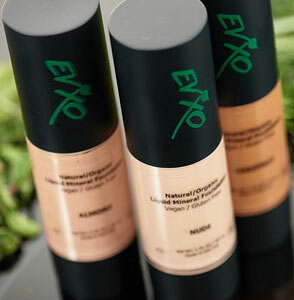 EVXO Natural Organic Liquid Mineral Foundation is made with organic ingredients including aloe vera, vitamin E, and chamomile. It doesn’t clog the pores and ensures a smooth application with a dewy finish. This foundation is free of sulfates and parabens. It gives you a flawless look and great for your skin. It covers skin spots and uneven textures effectively. Its light nature gives you a nice feel while wearing. It hydrates your skin well. This liquid foundation gives you light but effective coverage. xtava Sweet Almond Liquid Foundation is formulated in Korea. It gives you a matte finish with SPF 30. This foundation builds a perfect complexion by covering evenly the blemishes, dark spots, and redness of your skin. It is formulated for smooth and even application with great hydration. This high pigmented foundation gives you a natural shiny look. Use this and get a perfect flawless look. Gabriel Moisturizing Liquid Foundation is completely vegan and natural. It is a light foundation with a creamy texture. This foundation evens out your skin tone and gives it a silky and natural finish. Its unique plant based hydration system helps you to have a supple and resilient skin. It provides excellent coverage and is perfect for all skin types. Even you can use it on the dry and sensitive skin. It’s SPF 15 keeps your skin safe from sun damages. Pur Minerals 4-in-1 Liquid Foundation gives you 14 hours flawless skin. It protects skin from sun damages with board spectrum SPF 15. It doesn’t fade, rubs, or smudge in any condition. This foundation goes all day long without touching your complexion. 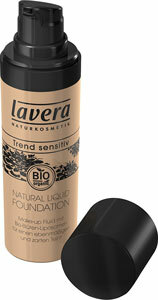 It is a lightweight and oil free foundation for a perfect skin. It not only smoothes skin but also moisturizes. Apply this to your face 15 minutes before sun exposures. This is a nice liquid foundation with board spectrum SPF 15. 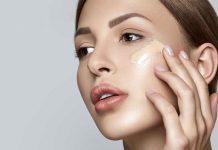 For this, you will get a sun protection by wearing this foundation. Smashbox Liquid Halo HD Foundation is lightweight and oil free. This high definition liquid foundation works for all skin’s undertones. It gives you a buildable sheer to medium coverage. This foundation moisturizes well and formulated for long wearing. It’s sweet and humidity resistant ensure long-lasting foundation effect. It is a suitable foundation for normal to dry skin. You can also use it if you won a sensitive skin. Its age fighting function keeps your skin young. It ensures your skin look better with a luminous glow. Mary Kay TimeWise Luminous Foundation is infused with moisture complex for a better skin hydration. It gives your skin an instant firmer, younger, and healthier look. It goes with skin well and gives a flawless look. This foundation comes with board spectrum SPF 15. It gives your skin a nice foundation effect and protects your skin from sun damages. gloMinerals Luxe Liquid Foundation consists light-diffusing diamond powder that builds radiance to your skin. This foundation contains specialized moisturizing agents for a fresh and healthy look. It gives you a soft, smooth, and flawless complexion. It anti-aging nature helps your skin to retain a young look. The key ingredients of this superb foundation are argan oil, organic blossom butter, and vitamins A, C & E. It perfectly evens out your skin’s texture and tone. It fights free radicals and reduces the impacts of oxidative damages. It hides the imperfections of your skin by creating a porcelain-smooth canvas. All its ingredients work together to rejuvenate and nourish skin well. Besides this, it also hydrates your skin for a healthier one. This moisturizing foundation gives you a dewy finish. This liquid makeup foundation conceals and rejuvenates your skin’s appearance. It is infused with moisturizing minerals that reduce fine lines and evens out skin tones. It also improves the skin’s moisture retention capacity. Illuminare Moisturizing Mineral Foundation gives your face a luminous glow. A pearl size makeup can cover your face completely and gives a natural and no-makeup look. This foundation is perfect for normal to oily skin. These are the best moisturizing liquid foundations for the face. Hope, now you can have the smooth and radiant skin. Choose yours one from the list and let me know how you felt after use the foundation.